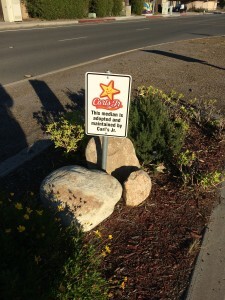 In early 2014, Michael Borchard, the owner of the Carl’s Jr. 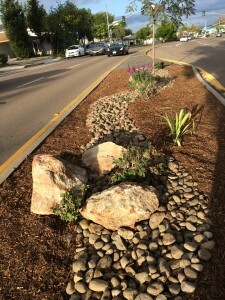 Restaurant on Governor Drive at Agee, took responsibility for landscaping and ongoing maintenance of the street median in front of the restaurant at Agee Street. 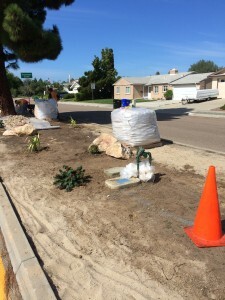 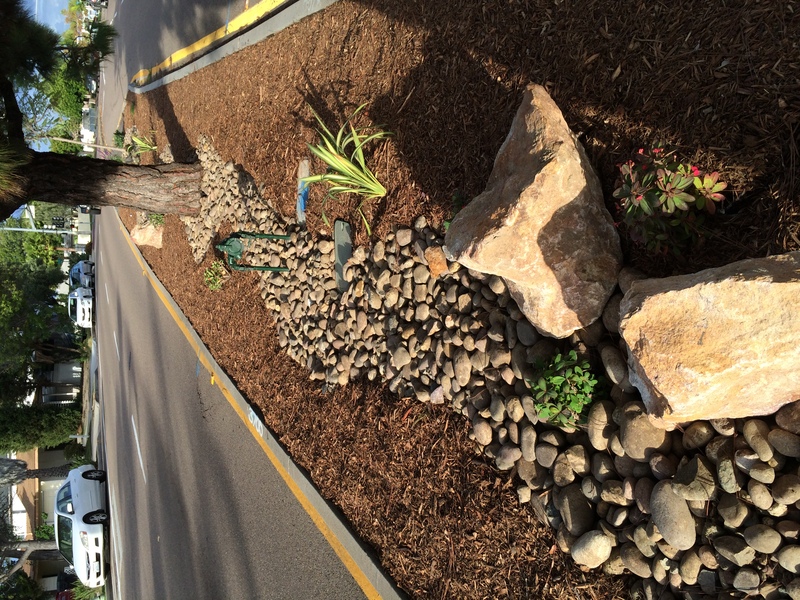 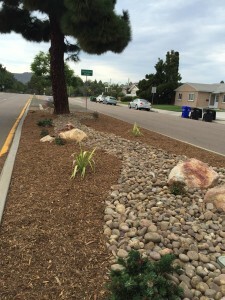 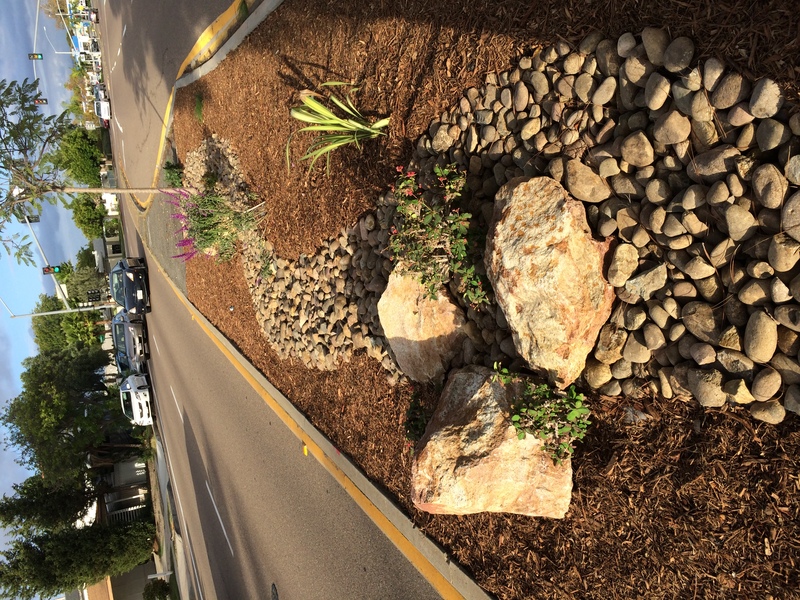 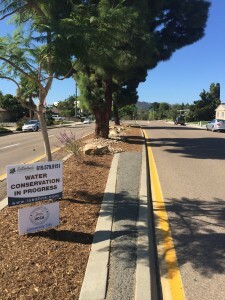 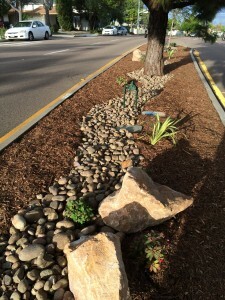 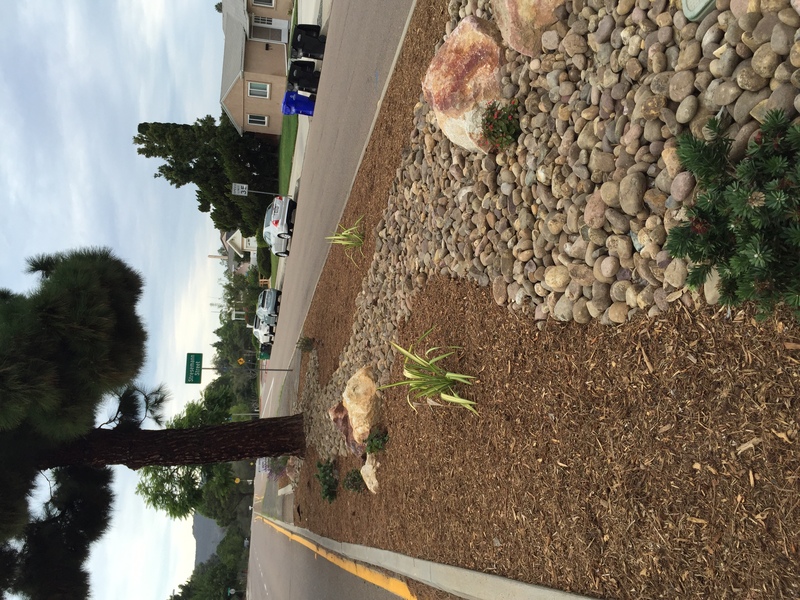 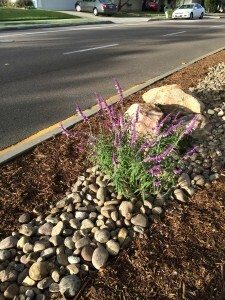 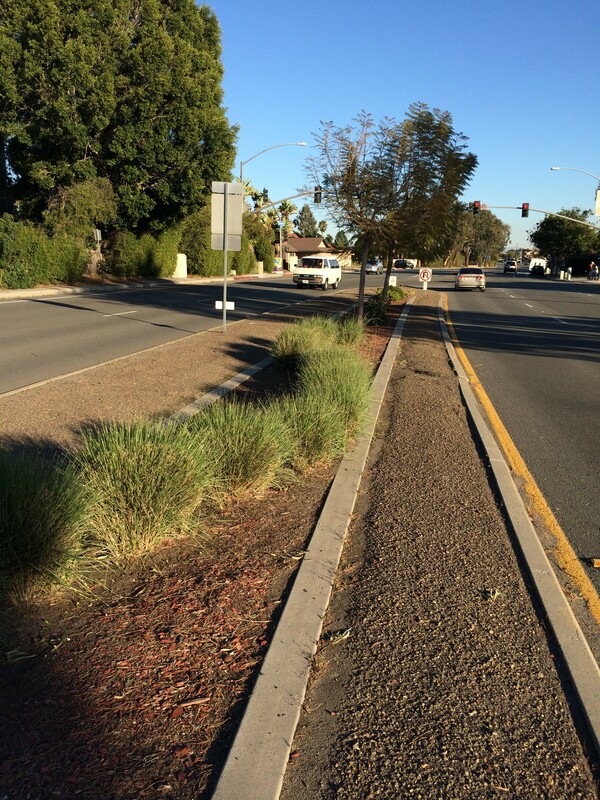 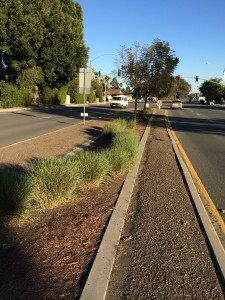 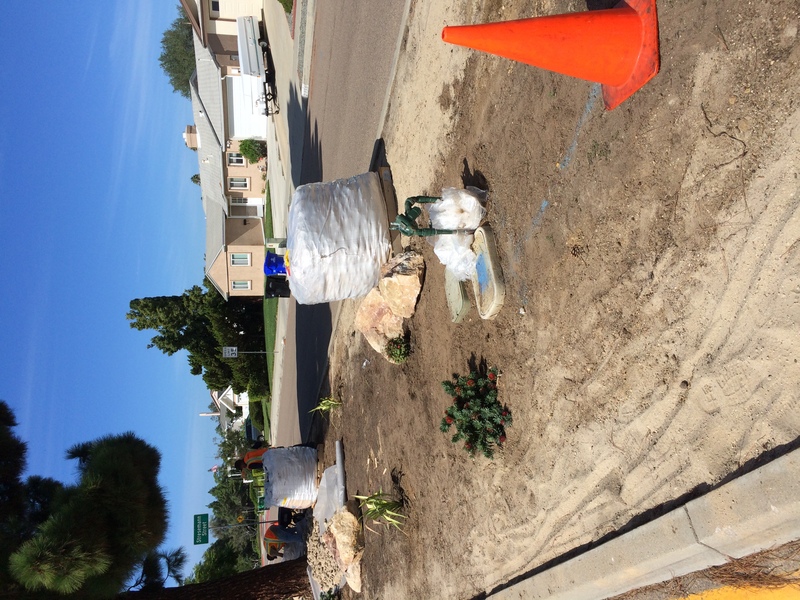 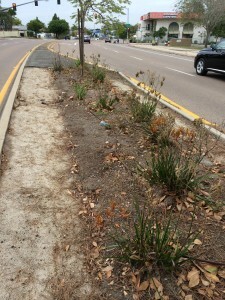 In 2015, the Beautification Committee of University City Community Association (UCCA) proudly announced the re-landscaping of the Governor Drive medians at Radcliffe and Stresemann. 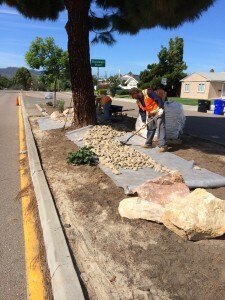 Council President Sherri Lightner’s office helped with the permit process and the removal of the cracked asphalt and inner curbs. 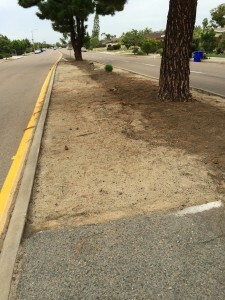 All trees were retained. 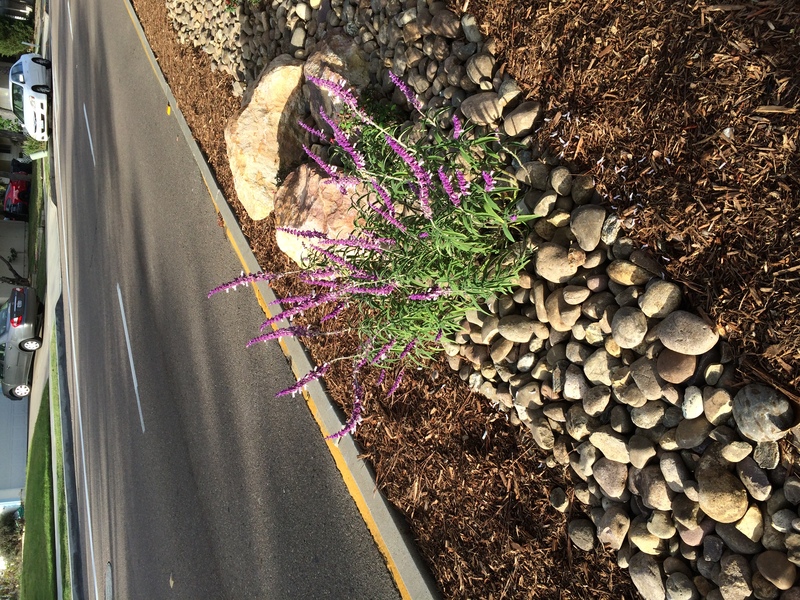 The plan consisted of drought- resistant plants, boulder clusters with plants and dry riverbed pebbles with mulched outer edges. 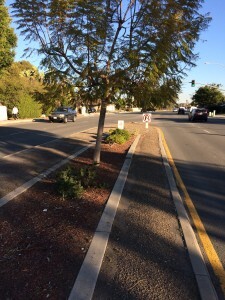 Work was completed in October 2015 and the larger pine trees were trimmed in December. 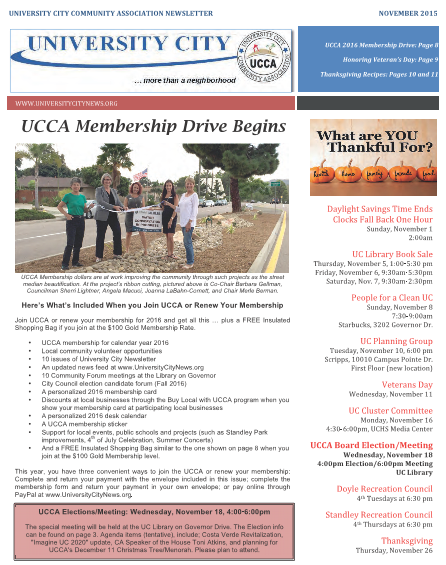 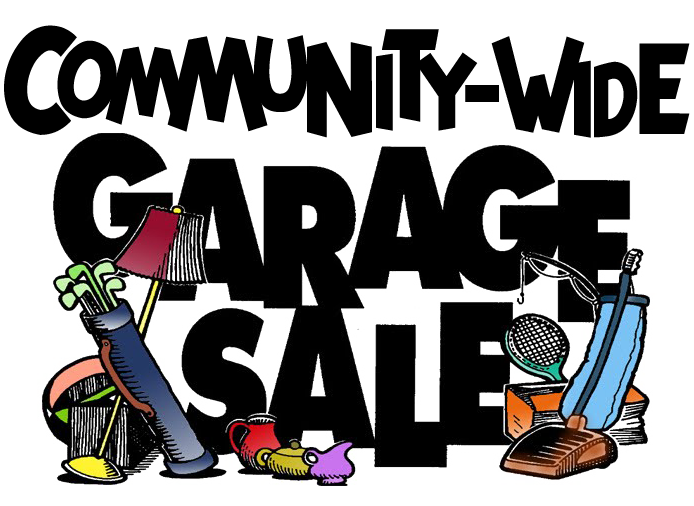 Kudos to all those people who have become UCCA members in helping us to provide the funds for this project through your UCCA membership dues. 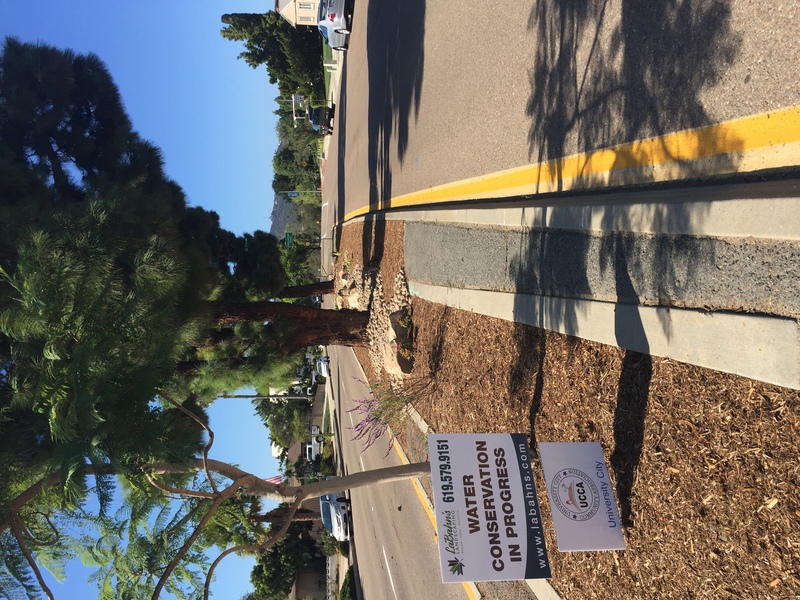 We couldn’t have done it without your support. 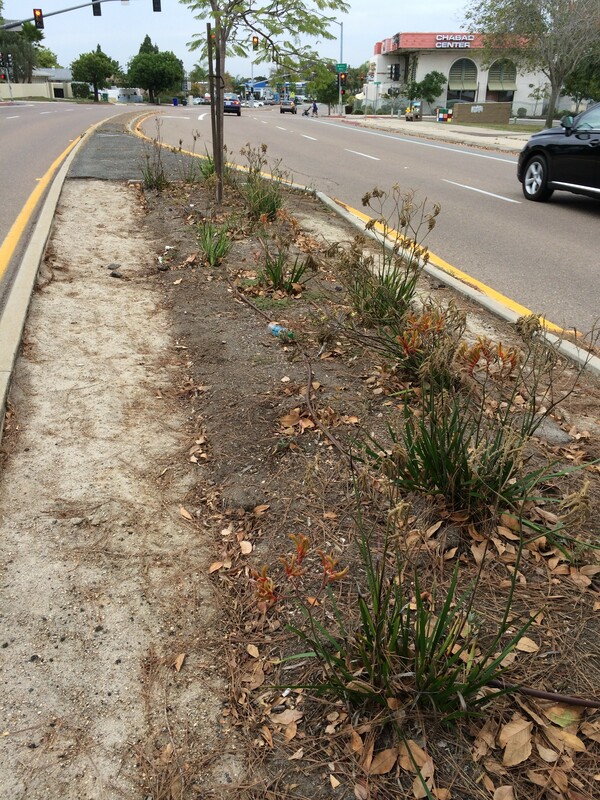 [Photo caption] UCCA Membership dues are at work improving the community through such projects as the street median beautification. 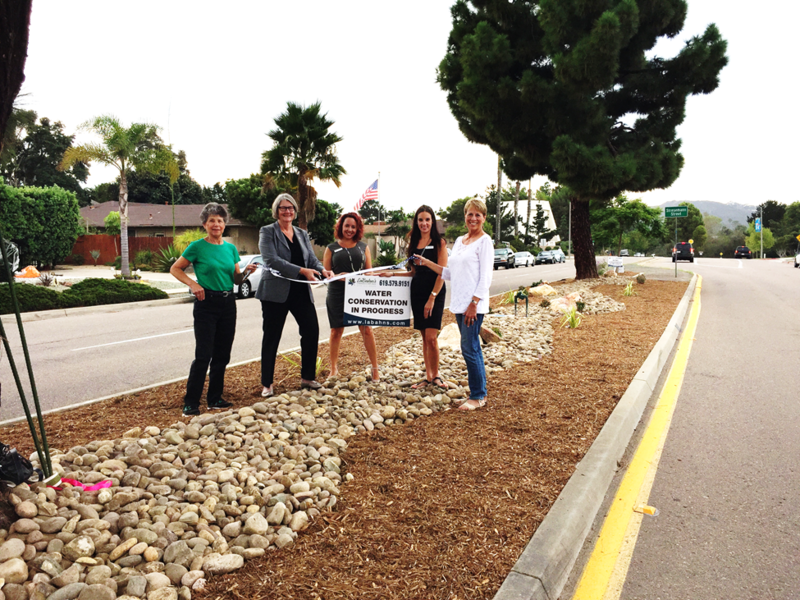 At the project’s ribbon cutting, pictured are Co-Chair Barbara Gellman, Councilman Sherri Lightner, Angela Macuci and Joanna LaBahn-Cornett with LaBahn’s Landscaping, and Chair Merle Berman.